Save the date! 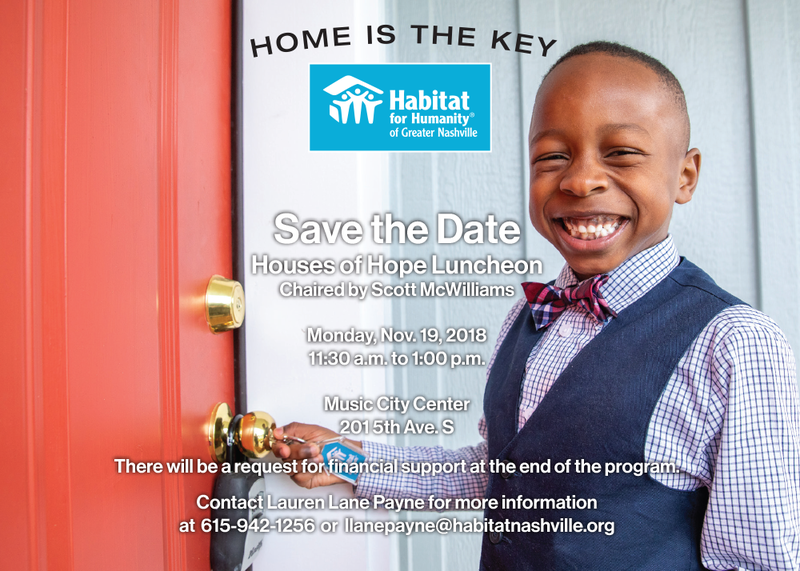 The 2018 annual Houses of Hope will be held at the Music City Center on Monday, Nov. 19. Registration will open at 11:30 a.m. with a noon - 1 p.m. program. More information to come. If you would like to reserve an early table, contact Lauren Lane Payne at: llanepayne@habitatnashville.org. Habitat for Humanity of Greater Nashville held its annual signature event, the 2017 Houses of Hope, at the Music City Center with more than 500 joining the lunch program in support of affordable homeownership. The enthusiastic crowd donated more than $180,000 to support the work of Habitat for Humanity in the community. Karen Springer, president and CEO of Saint Thomas Health and Habitat Board Chair welcomed guests for the program. 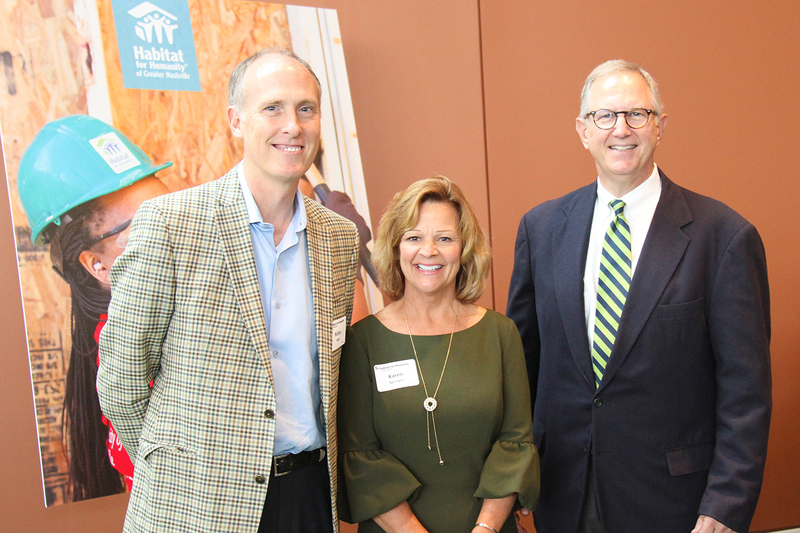 Event co-chairs were Sam McAllester, vice chairman and member Bone McAllester Norton PLLC and Habitat Advisory Board member, and Overton Colton, chief administrative and risk officer, Truxton Trust and Habitat Executive Committee member. 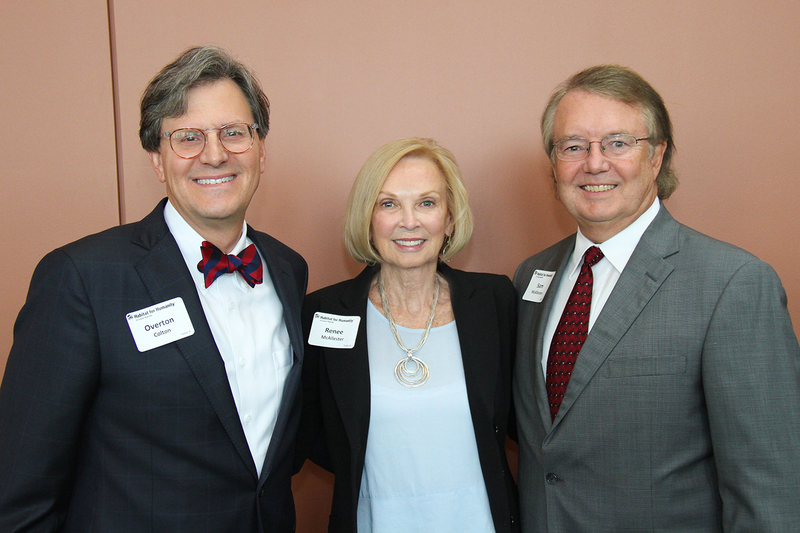 Belmont University was the signature sponsor of the fabulous luncheon and the Belmont Jazz Trio greeted attendees who came to the Karl F. Dean Grand Ballroom for the event. 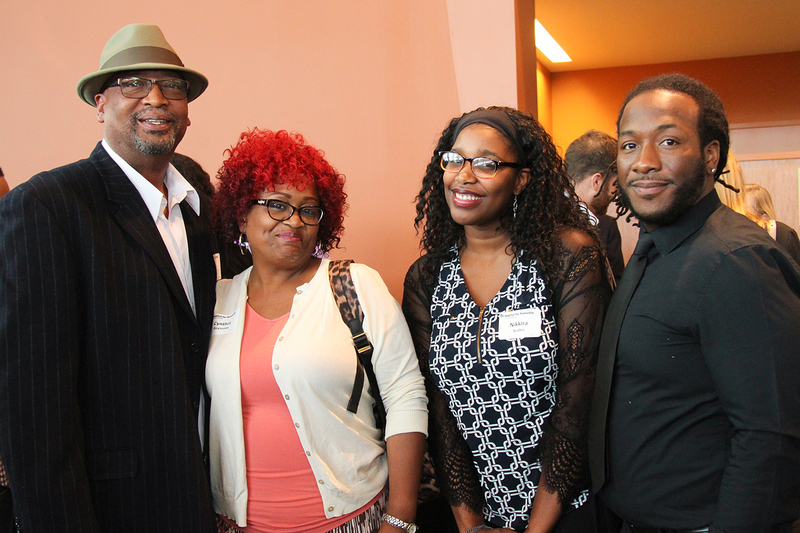 Guests were treated to an original composition written for the special event by a Habitat homeowner family member, Johnny Reynolds Jr., who grew up in a Habitat home and just graduated from Berklee College of Music in Boston. Johnny Jr. wrote the song “Foundation for the Future,” along with Nikkira Scales who performed with him. Of special note, Johnny’s father, Johnnie Reynolds Sr., who was in attendance, is a construction supervisor at Habitat of Greater Nashville and is also the longest tenured employee, having been with the agency 17 years. Thank you to everyone who attended. We appreciate your support! Click HERE to view photos from 2017 Houses of Hope.